Hi Everyone, This is my 1st Arduino's tutorial video. 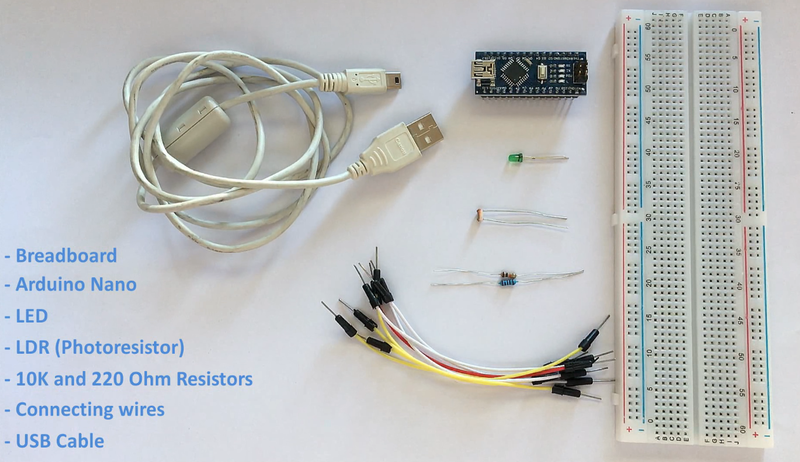 In this video i am going to show you how to use a LDR or Light Dependent resistor to turn on and off another circuit or a LED. Wouldn’t it be really cool if whenever a room gets dark, a light bulb automatically turns ON and eliminates the darkness? In this very simple project, I am focusing on eliminating darkness. You can even use this as an emergency lighting system. The LDR is a special type of resistor which allows a lower voltage to pass through it (high resistance) whenever its dark and higher voltages to pass (low resistance) whenever there is a high intensity of light. 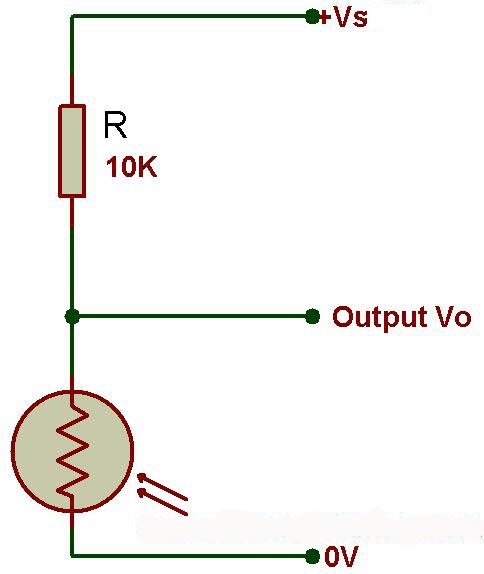 We are going to use a 10k resistor along with the LDR to create a voltage divider circuit. 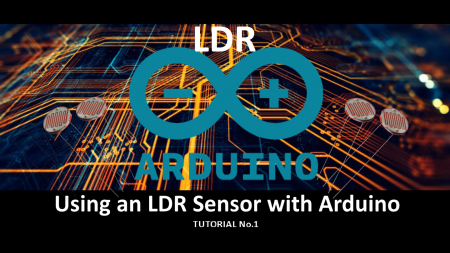 The varying resistance of the LDR is converted to a varying voltage that the analog pin of the Arduino will then be using in its logic. Pretty much this is what we need for the light sensing. 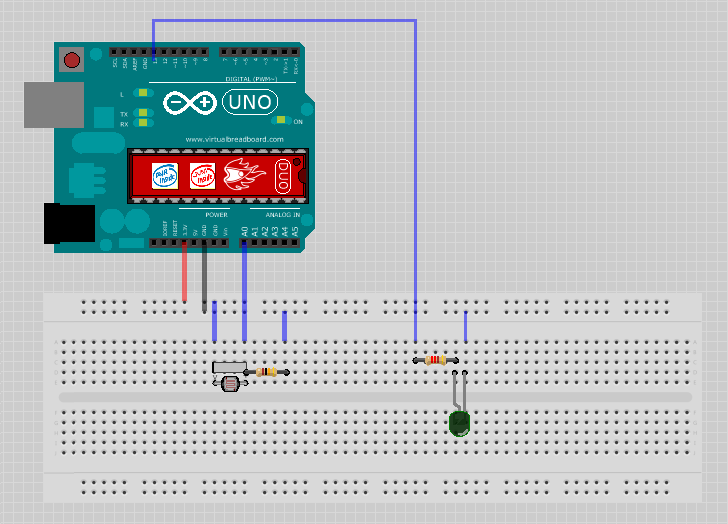 Basic circuits like this can be done without an Arduino aswell. However, if you want to log the values and use it to create charts, run other logics etc. I will recomend an Arduino or ESP8266 or may be a ESP32 for this.